The MicroScanner2 Cable Verifier presents a revolutionary change in voice, data, and video cable testing. It starts by taking results from what was four different test modes and displaying them all at once – graphical wiremap, pair lengths, distance to fault, cable ID, and far end device. 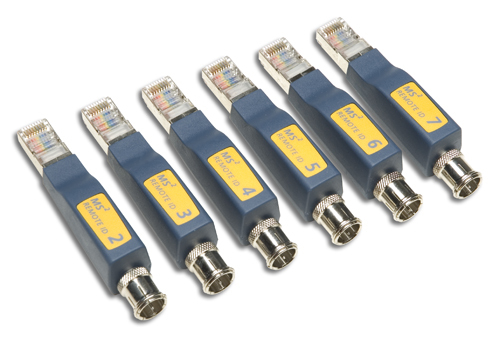 What’s more, its integrated RJ11, RJ45, and coax test ports support virtually any type of low-voltage cable testing with no need for awkward adapters. The end result is reduced test time and technician error. That makes high-quality installations more efficient than ever. - Oversized Display Large, Backlit LCD Makes Results Crystal Clear Whether in Bright Sunshine or in a Dark Closet. 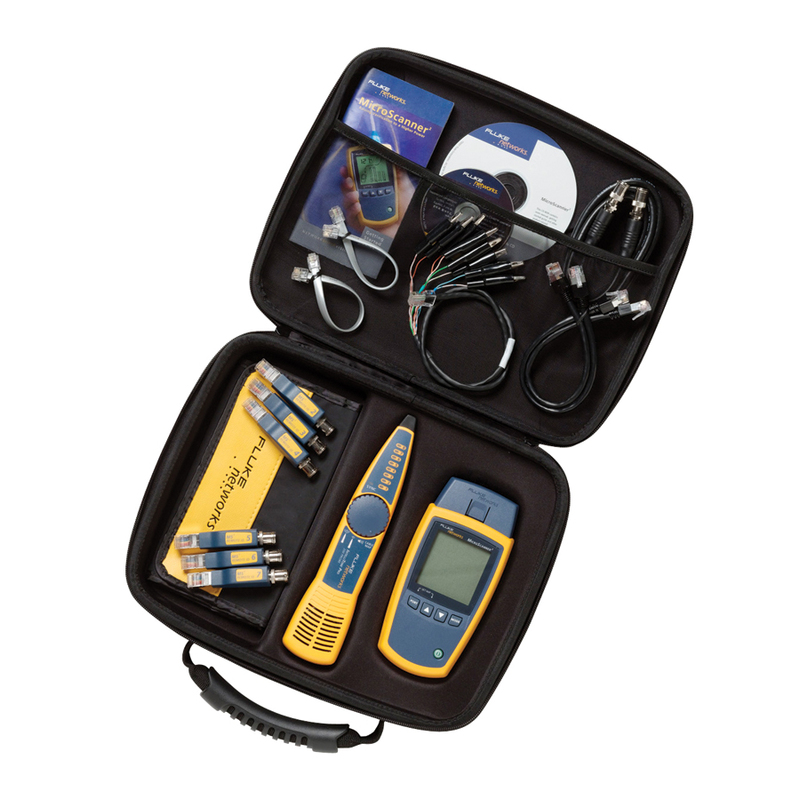 The MicroScanner2 Termination Test Kit is an all-in-one solution to terminate, locate, and verify copper cabling installation and ensure technician productivity from day one. Terminate copper cabling using the IS60 Pro-Tool Kit. 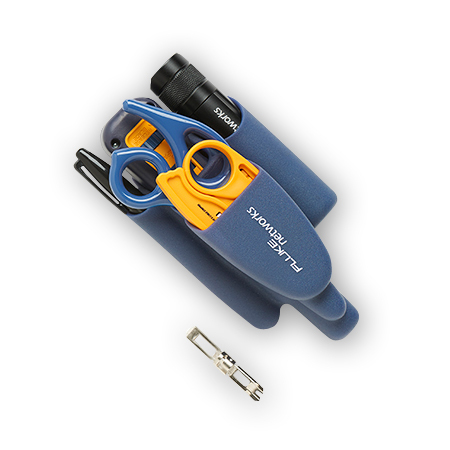 Locate virtually any cable or wire pair with the included IntelliTone Pro 200 Probe. Streamline voice/data/video cable and service testing with the next generation MicroScanner. - Dectects today's media services, including 10/100/1000 Ethernet, POTS, and PoE. - Locates virtually any cable or wire pair with IntelliTone digital and analog toning and the included IntelliTone Pro Probe. - Tests all common media types, including RJ11, RJ45, Coax, with no adapters. - Rubber over mold enhances grip and increases ruggedness. - "Oversized" backlit LCD makes results crystal clear in any work environment. - Terminates copper cabling with included ISO60 Pro-Tool Kit. For fast, comprehensive LAN Wiremap verification. 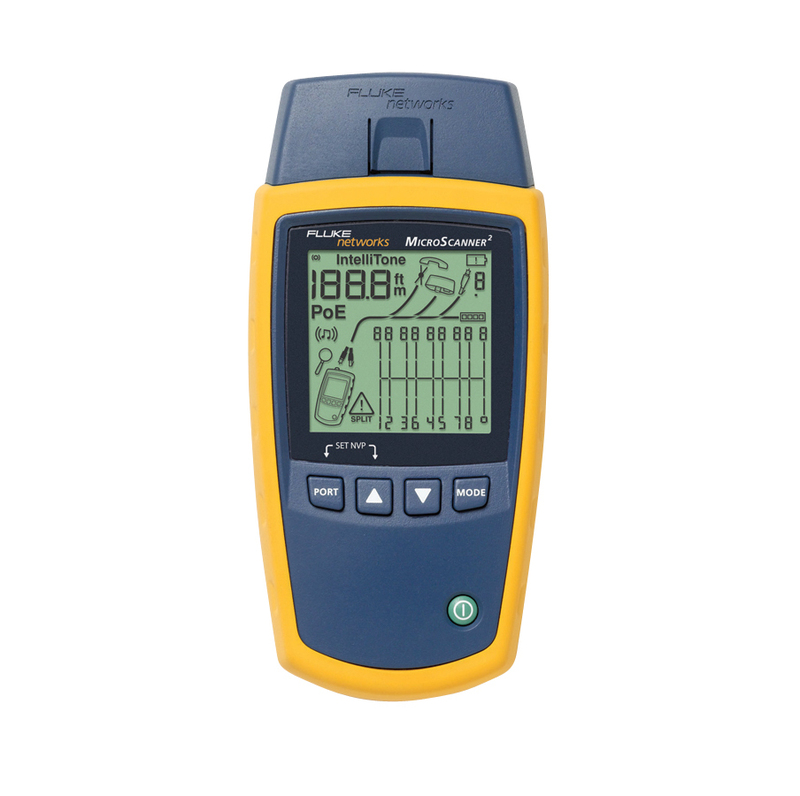 Whether you're an electrical contractor, a home networking professional, datacom specialist or IT/network manager, Fluke Networks family of powerful Voice/Data/Voice (VDV) verification and troubleshooting tools will allow you to verify your work while delivering a quality installation. 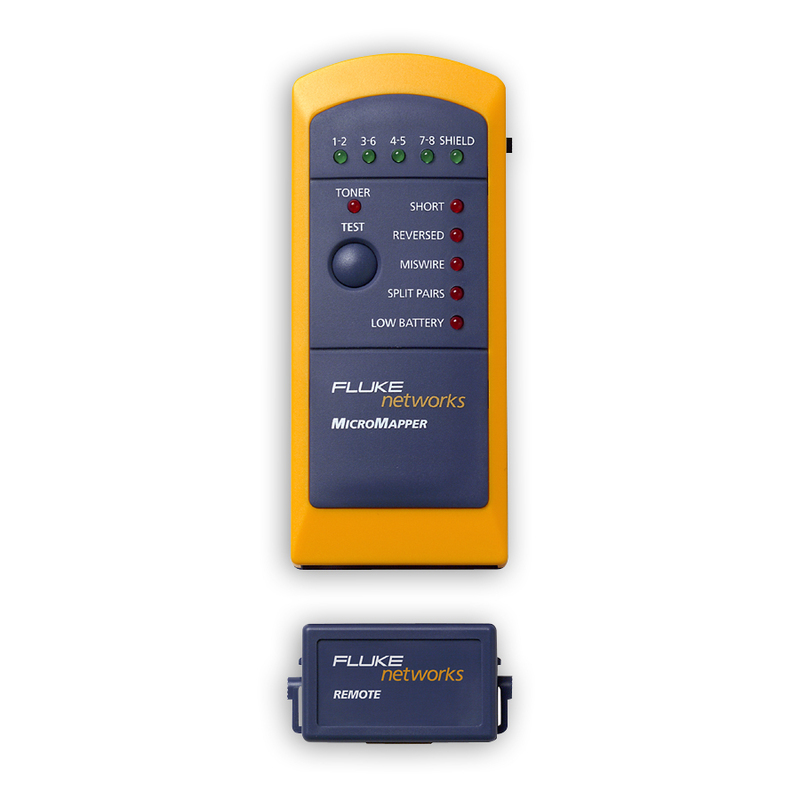 The MicroMapper™ is a small handheld cable tester which enables network professionals to quickly and easily verify the integrity of Ethernet twisted pair cabling. - Testing of Twisted Pair Cables for Open Circuits, Shorts, Crossed Pairs, Reversed Pairs and Split Pairs. - Tone Generator for Tracing Installed Cables Hidden in Walls, Floors and Ceilings. 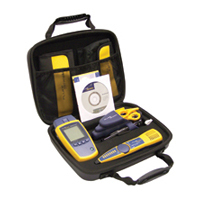 - Remote Unit Enables One-Person Testing of Installed Cables.